​Dr. Nieca D. Caltrider, M.D. Dr. Caltrider is a licensed physician and surgeon, specializing in pediatric ophthalmology and adult strabismus. She is Board Certified as a Diplomate of the American Board of Ophthalmology. 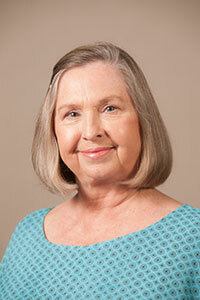 Dr. Caltrider earned her BS degree at Ohio State University, where she received the Phi Beta Kappa award. She went to the University of Colorado, where she earned her MS degree and then her MD degree. She completed her ophthalmology residency at the University of California, San Francisco. Dr. Caltrider completed her ophthalmology training with a fellowship in pediatric ophthalmology and adult strabismus at Pacific Medical Center-Institute of Visual Sciences in San Francisco. Dr. Caltrider is a member of the American Association for Pediatric Ophthalmology and Strabismus, American Academy of Ophthalmology, El Paso County Medical Society, Society of Heed Fellows, and the Frederick Cordes Eye Society.